Gesturing to his depleted shelves, Campbell says many of the customers are buying ahead of what is expected to be a ban on certain types of weapons. “The wall’s pretty much picked through, any type of paramilitary rifle, we’re down to just a few now,” he says. Also completely sold out, most high-capacity magazines like the 30-round clips used in the Newtown Massacre. Shopper Mike Charleville says he feels like he’s running out of time. “I just read today on MSN that Bloomberg in New York, he’s got his flags waving and he’s all for all kinds of gun control and I think our liberties are going to be taken away before too long,” says Charleville. Likewise St. Louisan Jeff Naber says he planned on saving his money for a new truck, but the events in Newtown changed his mind. “I had some magazines that I was planning on buying, but you know, after that happening, I thought I better not wait another week,” remarked Naber. Legislation expected to be re-introduced in January would ban clips of more than ten rounds. And while the market for magazines and clips only accounts for a tiny fraction of the total gun industry, their continued use in mass murders, means their shelf-life may be quickly shrinking to zero. Background checks conducted ahead of gun sales in Illinois have almost doubled since Friday's school shootings. Illinois State Police information provided to The Associated Press shows that 12,557 checks were conducted through the state's Firearms Transfer Inquiry Program between Friday and Tuesday. There were 6,870 checks during the same period a year earlier. Gun sellers like John Thurman say guns are being bought for both protection and out of concern that further restrictions on firearm ownership are ahead after the shootings in Newtown. Thurman owns Bullet Express in Auburn in central Illinois. Another factor possibly contributing to gun sales in Illinois is the Dec. 11 court decision striking down the state's ban on concealed weapons. Updated 12:31 p.m. with use of amendatory veto. Gov. 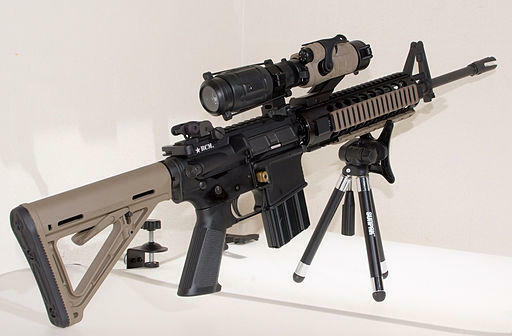 Pat Quinn has proposed a statewide ban on assault weapons. The Democrat used his amendatory veto power today to include the ban in a bill related to ammunition sales. It's now up to lawmakers to accept his changes or reject them. In a letter to members of the General Assembly, Quinn says the ban will make Illinois a safer place to live. The proposal also calls for a ban on high-capacity ammunition magazines. It was first reported by The Associated Press. Governor Pat Quinn sent a message Tuesday asking lawmakers to reject a plan that would allow concealed carrying of firearms. 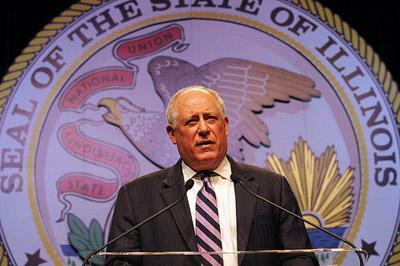 But an Illinois House committee ignored Quinn and advanced the measure. It could be called for a floor vote this week. Quinn says he doesn't want residents carrying loaded guns.